iWRITE inspires kids to WRITE their own stories and provides publishing and leadership opportunities to our youth. Since reading and writing go hand in hand, iWRITE encourages readers to use their imagination and communicate through the written word. Join “i” The Guy, the kids’ writing representative, and encourage kids to write for fun, thereby strengthening our youths’ desire to learn and create. Learn more at iWRITE.org. 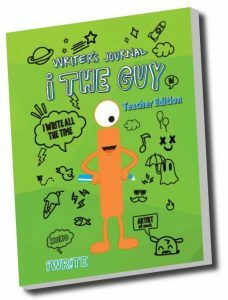 Brought to you by the iWRITE Literacy Organization, the “i” The Guy Writer’s Journal Teacher Edition can be used as a tool for educators to work along side the “i” The Guy Writer’s Journal for students. The journal provides fun comic book style writing prompts targeted to the 3rd-4th grade level. 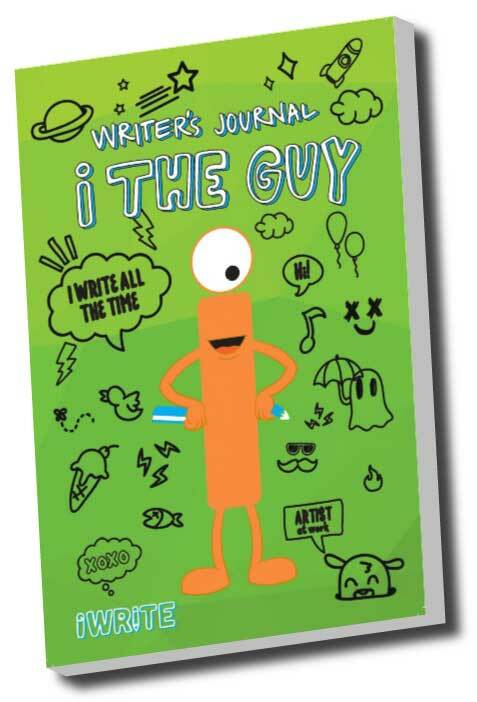 The main character of the journal, “i” The Guy, encourages kids to write for fun, thereby strenthening a child’s desire to learn and create. As students become more confident in their own creativity, that confidence will extend to other areas of language arts. Educators will find extension activities in the teacher manual to keep students engaged and excited to write. iWRITE inspires kids to WRITE their own stories and provides publishing and leadership opportunities to our youth. Learn more at iWRITE.org.